In recent years, the repression of civil society, the media and academia has starkly increased in Tajikistan. A number of prominent Tajik scholars and journalists have been detained in Tajikistan, forced to flee, and/ or targeted or threatened with long-term imprisonment. Steve Swerdlow, a Central Asian researcher at Human Rights Watch, and Michael Anderson, an independent journalist, spoke about Tajikistan’s imprisonment of journalists at a joint meeting of the all-party parliamentary groups (APPG) for Human Rights and Tajikistan on the 20th June 2018. Anderson told the APPG about his colleague and friend, Khayrullo Mirsaidov, a Tajik journalist who had been detained in Tajikistan in December 2017. He was arrested after he published an open letter to President Rahmon in November 2017, requesting a crack down on corruption in the local authorities. On December 8th 2017, a local judge charged Mirsaidov with forgery, embezzlement, false reporting to the police, and inciting ethnic and religious hatred. On 11 July, 2018, a court in Tajikistan sentenced Mirsaidov to 12 years imprisonment. Over the past two decades, Mirsaidov has committed himself to fearless journalism in the face of possible danger. He has reported for publications such as Deutsche Welle, Asia-Plus, and the Fergana media outlets. He covered topics that included issues of human rights, ethnic minority rights, and environmental problems. He has also worked as a media development trainer on projects that have been sponsored by the United Nations Development Programme (UNDP), the Organisation for Security and Cooperation in Europe (OSCE), the Department for International Development (DFID) and the Index on Censorship. Anderson spoke with despair at the APPG, revealing the little support he had received from Western politicians on Mirsaidov’s case. This is despite the work that Mirsaidov has done which Western governments have actually funded through those OSCE, UNDP and DFID projects. Of 129 relevant MPs across Western parliaments that Anderson had contacted about Mirsaidov’s case, he had only one reply (Rebecca Harms from Germany). Anderson described this response, or lack of, as shameful, and had led him to conduct a twitter campaign directed at Western diplomats in Dushanbe. A few Western diplomats did respond after this and said they would raise Mirsaidov’s case. Mirsaidov’s family in Tajikistan reported that on the first day of Mirsaidov’s court case commencing on the 11th June 2018, a representative from the European Union was present, as well someone from the American embassy. Acknowledging others who have worked in the Central Asian region, Anderson voiced that the presence of these Western officials is an important signal to send Central Asian states, demonstrating that the Western world will not let this repression go unnoticed. Unfortunately however, no other Western representatives had been in the courtroom over the next ten days of the court case. A joint statement from French, German, UK, US and EU missions to Tajikistan following the verdict complained of the harshness of the 12-year sentence. Unfortunately, this complaint came too late. Moreover, it failed to identify the real problem: the politically-motivated prosecution of a journalist who had committed the error speaking out about the corruption within the government of Tajikistan. As Steve Swerdlow observed, there are many other cases of journalists and human rights defenders who had been imprisoned in Tajikistan, or forced to flee. He highlighted the case of Buzurgmehr Yorov, a lawyer, who was arrested in September 2015, accused of fraud and forgery, inciting ethnic enmity, support for extremist activity, and calling for the overthrow of the government. Critics of the Tajik authorities argue that his real crime was agreeing to represent the leadership of the Islamic Renaissance Party of Tajikistan (IRPT) an opposition group, which had been banned by the Tajik authorities in 2015. Yorov, and the IRPT leadership were sentenced to long prison sentences. 23 years was initially handed to Yorov, which was later extended by two years because he recited a stanza of an 11th century poem in court during his trial. He was charged with contempt of court and insulting a government official for this act. At least 200 political prisoners have been jailed since 2015. Swerdlow told the APPG that only one month ago, a former member of the IRPT received 9 years in prison for liking an opposition post online. In addition, at least 20 journalists fled the country in 2017. Swerdlow told the APPG that he is in touch with some of them that fled. One of them ran a publication called Toj News. The reason he fled was because he misspelled the word ‘president’. He spelt the word ‘presilent’. This journalist got the call that a case was being prepared against him, and so he fled the country. These cases show the arbitrary and paranoid characteristics of the repression committed by the Tajik authorities. Swerdlow emphasised the cult of personality in Tajikistan in the shape of President Rahmon, and how this contributes to the crackdown on independent critical journalism and opposition within the country. In 2016, President Rahmon pushed through an amendment to put himself as leader for life. Swerdlow observed that when family rule passes the presidency from father to son, as seems to be in preparation in Tajikistan, the level of discontent in the population becomes very high, creating instability and an extremely unpredictable political situation. Tajikistan is not alone in creating this kind of leadership, as Azerbaijan’s handover from Heydar to Ilham Aliyev demonstrates. Even in countries with more competitive political system we see rising authoritarianism and limitations on freedom of speech as Turkey’s President Erdoğan’s crack down on civil society, media and academia shows. In the Central Asian region however, praised for its ‘stability’ by the Western world, the Uzbek phrase recited by Anderson at the APPG may begin to have more pertinence and travel further: “In Tashkent we have stability, the same stability you get in the churchyard”. It is clear that Tajik journalists, academics, human rights defenders and opposition figures face an increasingly brutal terrain to battle for their human rights and freedom of speech in authoritarian countries around the world. The APPG meeting and the subsequent sentence received by Khayrullo Mirsaidov demonstrate the need for relevant Western diplomats and politicians to offered sustained pressure rather than nominal complaint to the Tajik authorities. Otherwise, erstwhile programmes to support freedom of speech and an open media risk putting their participants, such as Mirsaidov at risk. Western governments must take responsibility for the vulnerabilities created by their interventions rather than walking away at the end of a funding cycle. Mirsaidov’s case speaks to the wider problem of Western foreign policies towards Central Asia: the failure to make their security cooperation programmes and support of foreign direct investment by Western companies actually conditional on standards of governance. Given the risk that authoritarian kleptocracies such as that of Tajikistan will create as many medium- to long-term security challenges as solutions, and given the risks outnumbering the opportunities for Western business, it is both realistic and more coherent to adopt a policy of conditional and more circumspect engagement towards an increasingly repressive Tajikistan. Human Rights Watch. (2017). How EU Should Tackle Tajikistan Crackdown. Available: https://www.hrw.org/news/2017/10/10/how-eu-should-tackle-tajikistan-crackdown. Last accessed 3rd July 2018. Committee to Protect Journalists. (2017). Tajik Journalist Arrested after Alleging Official Corruption. Available: https://cpj.org/2017/12/tajik-journalist-arrested-after-alleging-official-.php. Last accessed 3rd July 2018. Human Rights Watch. (2017). Tajikistan: Independent Journalist Detained. 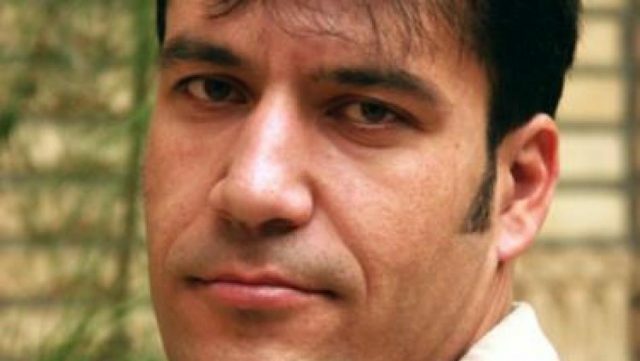 Available: https://www.hrw.org/news/2017/12/11/tajikistan-independent-journalist-detained. Last accessed 3rd July 2018. The Diplomat. (2017). In Tajikistan, Lawyer Buzurgmehr Yorov Faces Even More Charges. Available: https://thediplomat.com/2017/08/in-tajikistan-lawyer-buzurgmehr-yorov-faces-even-more-charges/. Last accessed 3rd July 2018. Foreign Policy. (2016). How Tajikistan’s President Extended his Term- for Life. Available: https://foreignpolicy.com/2016/05/25/how-tajikistans-president-extended-his-term-for-life-rahmon-isis-migrant-imf/. Last accessed 3rd July 2018. The Guardian. (2018). In Erdoğan’s warped world, even intellectuals are now ‘terrorists’. Available: https://www.theguardian.com/commentisfree/2018/may/20/in-erdogan-warped-world-even-intellectuals-are-now-terrorists. Last accessed 3rd July 2018.